Hip-hop’s history is filled with free endorsements, public promotion and independent marketing, but the companies benefiting from rappers the most give little in brand association, acknowledgment or endorsements. In the past, brands have reaped the benefits without alliance; I’m still baffled by Versace not aligning with Migos, I’m perplexed by Ralph Lauren not collaborating with Young Dro, and I’ll never truly understand how all these water companies missed the chance to do something great with Mick Jenkins. Sadly, these circumstances aren’t rare but common, no different than Diddy not clearing samples or Cash Money withholding royalties. By recognizing the power of hip-hop’s influence, however, more opportunities are being made and brands have been forced to wisen up. There’s been a gradual uptick in collaboration between artists and brands, with music being the medium for their union. Instead of just being the face, the artists are able to create under the brand&apos;s umbrella. 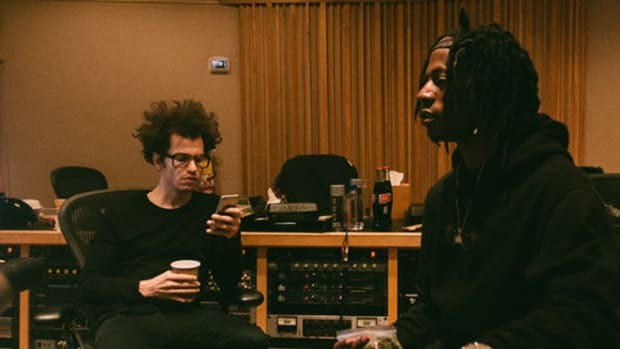 Just recently, Joey Bada$$ teamed up with Mountain Dew and the company&apos;s NBA partnership The Courtside Project to release a new song called “Victory.” This isn’t the first time Joey has joined forces with Mountain Dew, back in 2013 they came together for “Unorthodox”―the DJ Premier-produced record that was released under Green Label Sound, Mountain Dew’s record label. The real beauty of “Victory” is that it has made Joey closely associated with the NBA. Billboardpremiered the single and stated in their article that Joey will be flown down to New Orleans to perform the song during All-Star Weekend, along with shooting a music video to be released alongside the launch of The Courtside Project. “Victory” is filled with NBA references, from the Golden State Warriors to Michael Jordan, but it doesn’t feel forced or corny. 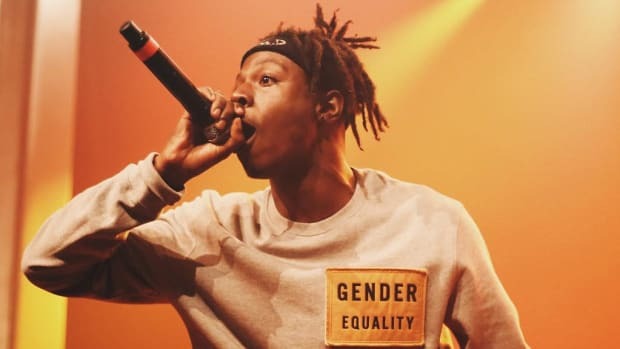 The wordplay is sharp, he continues showcasing why he&apos;s one of today&apos;s brightest, and Kirk Knight’s production will make you want to dunk on Shaq. "Victory" is everything we expect from a Joey, only presented by a major corporation. This wasn’t a case where he was forced to be more commercial but allowed the room to be himself in a space where rappers aren’t always allowed that freedom. It’s well-done, true to the artist, and should be beneficial for all parties involved. Ideally, this is what rappers should strive for when crossing over―bringing their talent to the table, and not just being told what to do. Say what you will about Lil Yachty, but he has been a brand darling since aligning himself with Coach K and Quality Control. When PUMA and Pink Dolphin came together for a capsule collection last year, Yachty was brought in to be the face. 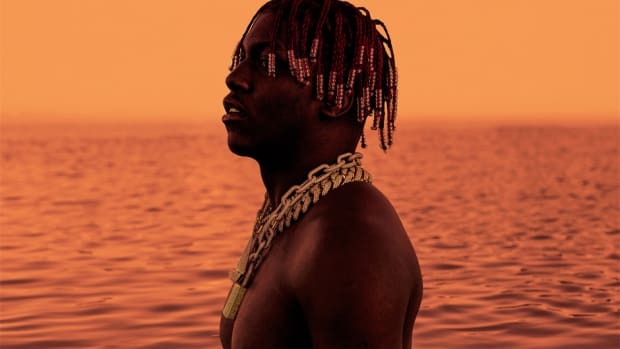 Lil Boat is a well-known Nautica aficionado, and early this year they hired the 19-year-old to be a creative director after a successful collaboration with Urban Outfitters last November. The biggest corporate stamp of them all, Sprite, decided to use Yachty and his single “Minnesota” in a 2016 commercial with Lebron James. The young artist has already broken into corporate sponsorships in a way that some rappers can only dream of. 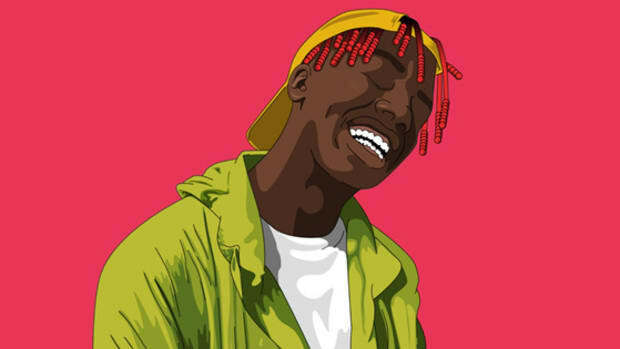 Teaming up with Target is the latest gust of wind to send Yachty’s boat sailing into commercial prosperity. 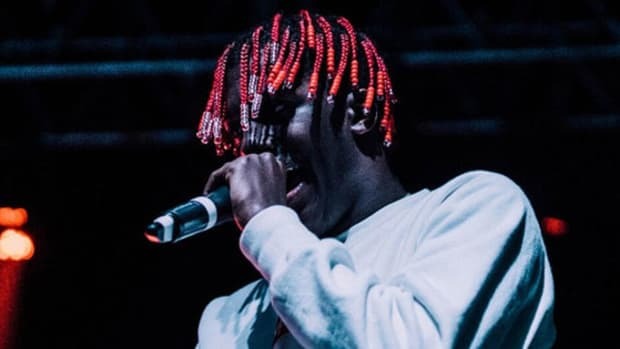 Some evil genius thought of the maniacal idea to allow Yachty, Carly Rae Jepsen and Mike WiLL Made-It to tap into the well of nostalgia and remake the ‘88 Rob Base & DJ E-Z Rock classic. 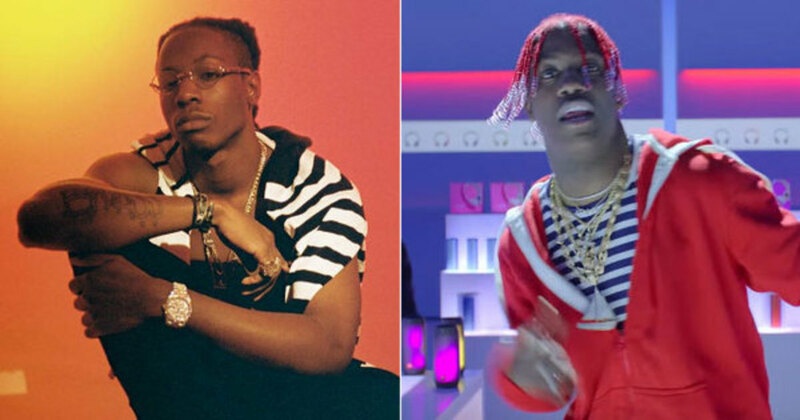 The song is terrible, unbearable—it will make you want to stick a swordfish through your earlobe—but this is a huge win for Yachty. Target endorsed Lil Yachty, gave him room to make a terrible song, and now Middle America is going to love this positive kid, his teenage raps, and his Chuckie Finster red hair. The theme centers around originality, and how new ideas can add value to classic perspectives. Hip-hop is born and based within this ethos of reinterpreting antiques, so the concept makes sense, but the outcome is more strange than stellar. This is that middle ground collaboration where the artists themselves are pulled into an unfamiliar environment. Strange, weird, but a progressive bridge between new artists and a classic brand. The idea is there, the execution isn’t. I hope Adidas continues to bring in youthful stars and give them the room to express themselves, but I also hope the results end up better than they did here. My disdain for the Desiigner and MadeinTYO collaboration doesn’t overshadow some of Adidas more noteworthy projects with artists. Songs From Scratch—a collaborative series between YoursTruly and Adidas Originals—is an incredible, ongoing platform that brings together two talents to combine their gifts and make something memorable. When Khalid teamed up with Brasstracks, our jaws dropped faster than an elevator beyond its weight limit. Kehlani and Mr. Carmack, Tink and DJ Dahi, Chet Faker and GoldLink—all produced great results. A few years ago, Danny Brown and AraabMuzik set the internet ablaze with “Molly Ringwald,” a duo brought together due to Songs From Scratch. My personal favorite, though, has to be “Paranoia” from Chance The Rapper’s Acid Rap. The song is absolutely chilling, one of Chance’s darkest, most honest records. Paired up with producer Nosaj Thing through Adidas and YoursTruly, the two were able to come up with a dagger into the soul and a standout track for one of the most celebrated projects of the last few years. Rap Snacks, a brand of potato chips created in 1994 by James “Fly” Lindsay and eventually purchased in 2007 by Lil Romeo, has been rolling out a variety of chips with famous rapper&apos;s faces on them—including hitmaking trio Migos. Along with Fetty Wap and Romeo himself, Migos appeared in the latest release of new flavors. Being on the chip is great for your image, but artists rarely go the extra mile for promotion. Migos took things a step further, however, with their viral jingle, “Dab Of Ranch.” It was just a silly video, something created on a whim, but it was catchy and shot across social media like a locomotive with broken brakes. James Lindsay saw an opportunity and soon announced that a commercial single was in the works along with merchandising. Rap Snacks didn’t force Quavo to make that video, but once it started to soar they saw the promise. The best opportunities will come to those that can make them without being directed. Migos&apos; success with “Dab Of Ranch” is a lesson to brands―don’t just use an artist&apos;s likeness, give them the space to do exactly what made them famous and attractive for endorsement. 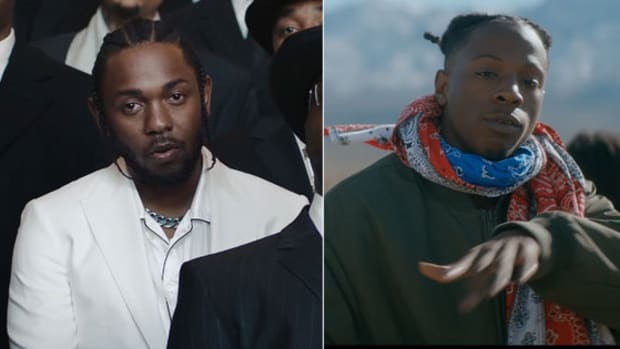 As more rappers and corporations mingle, there will be an equal number of brilliant combinations and music that will cause us all to question what the hell is happening. Last year, when Hamburger Helper took a step into rap’s trap arena, I almost lost my lunch. To see such an innocent, wholesome, soccer mom-beloved brand drop a mixtape called Watch The Stoveand deliver Makonnen-esque bangers was intensely painful. The music isn’t terrible—it mimics trap music—but imagine if Weird Al Yankovic used the Migos flow to illustrate how he whips up the Pillsbury. Exactly. The real problem is that the collaboration seemed too gimmicky; a marketing ploy to grab a specific audience by using a specific medium outside of their traditional branding. That&apos;s how business works, strategies are made to appeal to a target audience. I do respect how General Mills sought out Craig Rice, a music manager/editor who assisted with Watch The Stove. There’s an insightful interview on Pigeons & Planes that touches on how it all came together. Even with the goofy image of the final product, a lot of people benefited, and I&apos;d much rather have money going into the pockets of people working within the culture than for it to be outsourced and made a mockery of by those who could care less about rap and hip-hop. Like Adidas&apos; Songs From Scratch, Red Bull Sound Select is another excellent example of a corporate brand supporting and actually displaying the true talents of artists. From putting on shows to creating collaborations, Red Bull is doing more to give than take from artists. Mick Jenkins & BADBADNOTGOOD, Gallant & Jhene Aiko, River Tiber & Pusha T, Race Banyon & Ty Dolla—all examples of great music made under a corporate umbrella. We all cringed at HBO putting together a mixtape for Game Of Thrones. A show that big doesn’t need to try and force it’s way into hip-hop. DiGiorno tried to make a pop/hip-hop pizza party anthem a few weeks ago, in what can only be chalked up as an embarrassingly lame attempt. 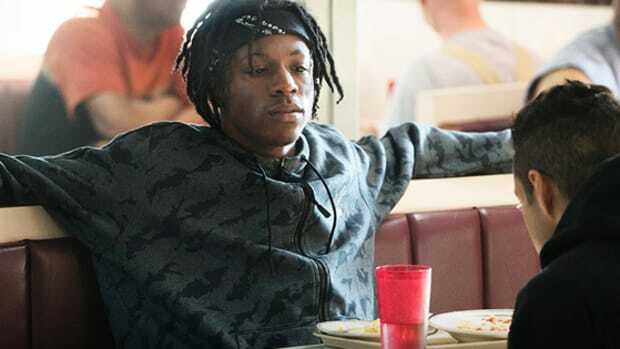 I’ve long wished McDonald’s would cease the rapping commercials, but every few months a new one surfaces―a new black face with a new rap, leaving me with the same nausea as its predecessors. A merger between art and commerce is rarely a smooth one. Rap and corporations go together like orange juice and cereal―mostly terrible, but some mornings it&apos;s a tolerable combination. With every crossover, there’s going to be good, bad and ugly. 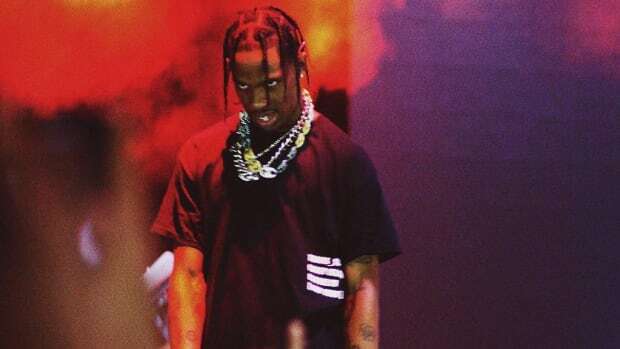 With brands and hip-hop are increasingly coming together, and more music is being made, hopefully, artists will continue getting paid. Sure, corporate money may be dirty, but I love the fact Joey, Migos and Yachty (at times) are doing it in a way that doesn’t come off as if the collaboration cost them their artistry. By Yoh, aka Yoh The Influencer, aka @Yoh31.